There is no doubt about it, tiny homes are popular. With a variety of reality TV shows across multiple cable networks, everyone has an opportunity to peek inside these minuscule dwellings. But what if the legacy of the tiny house movement isn't small homes on wheels but a desire to choose a home based on its purpose and fit for your lifestyle? 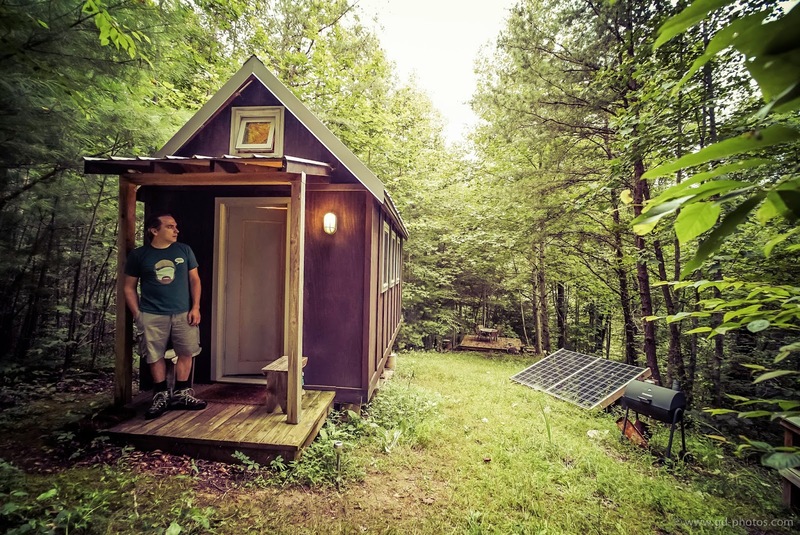 This recent article from a Maine-based website makes a strong case for small, not tiny, homes. The key point is that small homes are another possible option that is born out of the need to simplify our lives. While tiny homes on wheels are incredible and work for a lot of people, they don't work for everyone. And they shouldn't have to. It is a lot of pressure on a tiny house to assume that it is a on-size-fits-all solution for every American family. Over the last 4 years I've had the opportunity to experience both tiny and small homes. We moved into our 120 square foot home in May of 2012 and lived in it for the first year. I loved every second of it. While living there, I never felt a pull to go bigger. It was comfortable and had all the things I needed. Any downsides we faced weren't a result of the home's size. Then we were faced with an opportunity we couldn't pass up. 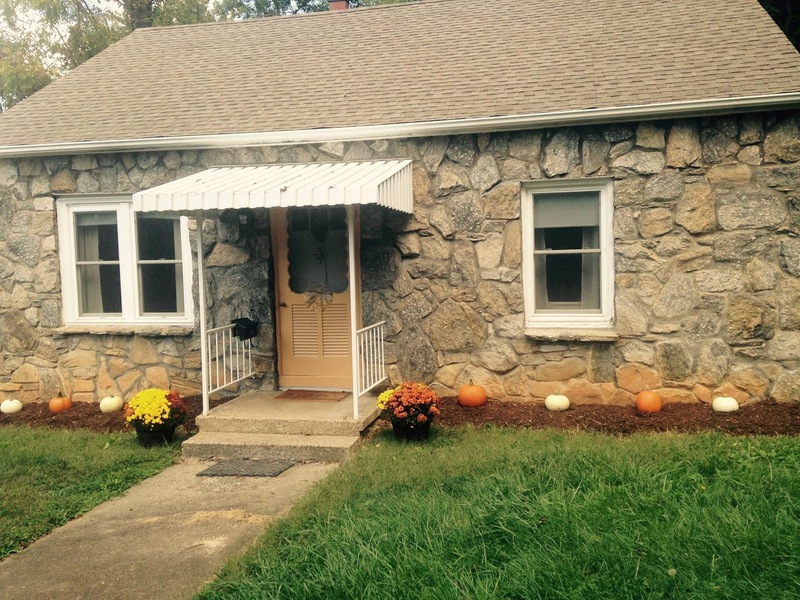 A 700 square foot bungalow in the city limits of Asheville came up for sale for a great price. We could afford it because we had downsized. Because we had reduced our expenses. And because we had lived for a year in a 120 square foot home. So we bought it. As we began to renovate the home, using our newfound skills from building, we also began cultivating relationships within the city and with the neighbors directly on either side of us. This sense of community was probably the only thing missing from the tiny house, which was deliberately built on private land in the mountains. And that was when we realized that we were in the fortunate position to have the best of both worlds. If the legacy of the tiny house movement results in individuals and families being more deliberate about the homes they choose to live in, then I believe we have achieved success. It isn't about the size of the house. It is never about the house. I don't mean for this to be a small versus tiny discussion, as I see them as both valid choices. A small home can be anything from an apartment or condo to a single family home, generally below 1,000 square feet. Though definitions in the small and tiny home arena are often nebulous. But what are the benefits of choosing a small home? Here are some of the lessons I've learned. Reduced financial burden. Little or no mortgage, reduced utility bills, smaller property tax. Less space to clean inside. It takes us only slightly more time to clean the city house as it takes to clean the tiny house. And we keep it neat, as a result of our new lifestyle. Smaller yard to maintain outside. Very little to mow. Very little to landscape. It takes care of itself. You can do the work you want to do without worrying about what you have to do. Choice of location. Do you want country or city? Do you want shared walls or single family? Easier to comply with code and zoning. Are you worried about having a place to park your tiny house on wheels? Foundation homes, either small single family or Accessory Dwelling Units, might be a good compromise. 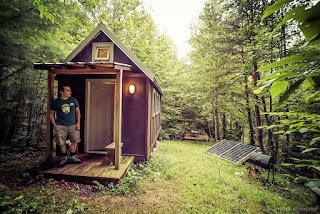 Our tiny house was an adventure and an experience. We built it ourselves to prove to ourselves that we could do it. We lived in it to prove to ourselves that we could. And we did. It was a catalyst that allowed me to quit my job. And all of that added up to benefits we never saw coming. But when we started spending more time in our city house we realized that living close to the city was important to us. We realized that having good neighbors was important to us. We realized that we could use the same lessons we learned in building the tiny house, both practical and emotional, to make living in this bungalow a success. Small living and tiny living are two sides of the same coin. Do you ever use your tiny house now? Any thoughts of using it as a vacation rental? Great question. We do still use our tiny house regularly. It is a perfect place to recharge our batteries. It is an important part of our journey. In fact, we may be there on a more permanent basis again starting in 2018, but I am waiting for some news before I share the details. We considered renting it out, but because of its private locate and to honor the privacy of our neighbors, we decided not to. I am in the beginning stages of research in building a smaller house in either McDowell or Buncombe county. I currently live in a 1100 Sqft townhouse in Wake County but the idea of living in such a larger place and having a mortgage is kind of scary. I have been doing this for almost 13 years but I am on disability. My sister and husband own Town Hardware in Black Mountain. So I would like to live close to them. Once I sell this place and move my expenses will go down because of moving to solar and propane gas for appliances. TWo things I can not do now. I have a question about compost toilets? I know you used one in your tiny house but are you using one in your 700 sqft bungalow. I was reading the NC rules about compost toilets and the mumbo jumbo is difficult to understand. Thanks for your question. As we understand it, the city of Asheville does not allow composting toilets. Our bungalow is a traditional home built in 1948, so all of the traditional fixtures were already very much a part of the structure. In the work that we're doing with the city to make small and tiny homes more legally viable, composting toilets aren't something they're willing to discuss yet. Tiny and small homes built on foundation within the city limits still need to be hooked up to city services. That being said, I am not certain how the county regulates this, but I would guess it would be similar outside the city limits still within Buncombe county.